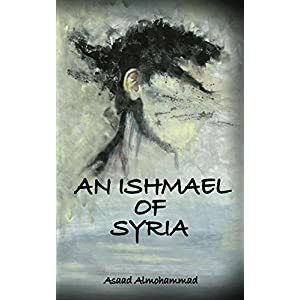 AN ISHMAEL OF SYRIA by Asaad Almohammad – Books, Books and More Books! A personal story told in the voice of Adam. A Syrian, living in Malaysia. Unable to live in his own country due to civil war and upheaval.. The story goes back and forth from the present to the memories of childhood .All of the different parts and pieces that make us who we are and shape our ideas of who we are and where we belong are brought into question. I felt as if I was reading someone’s journal. The feelings of not belonging to any place and unable to go back home.were so heartbreaking. Trying to assimilate into a new country is not easy when you look like Adam and the intolerant and racist people he comes into contact with on a daily basis made me embarrassed as a human being. I learned more about the Middle East and Syria in this one book than I have in all of the news shows and history lessons I’ve taken. I can’t imagine being judged solely on my skin color or ethnicity. That the author has tackled this in such straightforward and easy to read book is a gift to us all. An extremely timely story written by an author I have the deepest respect for. Born in the 80s, Asaad Almohammad was raised in Ar-Raqqa, Syria. A member of the International Society of Political Psychology and a research fellow, he has spent years coordinating and working on research projects across the Middle East and North Africa. To date he has addressed a number of psychological aspects of civil unrest, post-conflict reconciliation, and deradicalisation. In his spare time Asaad closely follows political affairs, especially humanitarian crises and electoral campaigns. He is especially interested in immigration issues. The Bear And The Nightingale by Katherine Arden RELEASE DAY!